A seasoned B2B marketing professional with experience managing multi-channel traditional and digital marketing programs and more than 15 years in the fleet industry, Irena Dmitry has moved into the director of marketing and communications role at Driving Dynamics. Driving Dynamics Inc., a provider of advanced performance driver safety training and risk management services for fleet-based organizations throughout North America announced that Irena Dmitry has moved into the role of director of marketing and communications, reporting to Art Liggio, president and CEO. A seasoned B2B marketing professional with experience managing multi-channel traditional and digital marketing programs and more than 15 years in the fleet industry, Irena has been affiliated with Driving Dynamics since 2014 providing marketing consultancy services to the business. In her expanded director role she is responsible for translating the company’s business objectives into marketing strategies and tactics that build brand equity across existing and new markets, reinforce the value of Driving Dynamics’ services and grow market share and revenue for the company. Leading all marketing and communications programs, Irena will play a pivotal role in helping to drive the company’s continued digital transformation and new product branding and roll out. Most recently Irena was a self-employed senior marketing consultant specializing in the financial services sector. Among her key long-term clients was Pershing LLC, a global provider of business solutions to registered investment advisors and financial retail organizations. There she oversaw a variety of marketing projects through the formal development process, managing resource from creative concept through to legal and compliance sign off. 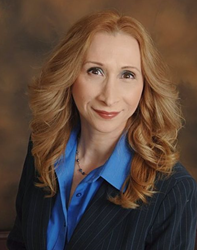 In her prior role, Irena served as senior manager of marketing and communications at The CEI Group, Inc. (CEI), a fleet accident and risk management business. During her nearly 12 years with CEI she was instrumental in defining and leading the overall marketing strategy and brand functions for the business. A native of Philadelphia, Pennsylvania, Irena earned a master’s degree in advertising, public relations and journalism from Temple University and holds a bachelor of science in marketing from Drexel University. She is a past committee member and elected chairperson of the Exhibit Advisory Committee for the Risk and Insurance Management Society and is a current member of both the American Marketing and eMarketing and Associations. Irena currently resides in Falls Township in Levittown Pennsylvania and is a member of an improvisational fusion-style dance troupe which performs at events throughout the Delaware Valley. A leading provider of advanced performance driver safety training and fleet risk management services throughout North America, Driving Dynamics’ unique and highly effective approach to behind-the-wheel driver education, elearning, simulation-based training, and driver risk management has helped numerous fleet-based organizations achieve significant reductions in their crash rates. In 2017 it was named as top-20 safety and health company by Training Industry Inc. Founded in 1987 and headquartered in Newark, Delaware, Driving Dynamics has earned its position as an accomplished provider of impactful driver safety training for drivers of light-to-heavy-duty vehicles by continually building and delivering programs based on sound research, proven learning methodologies, and expert instruction. The company is dedicated to improving drivers’ abilities to stay safe by leveraging risk management tools, principle-based learning, and applied techniques. In 2017 Center for Transportation Safety was added to the Driving Dynamics portfolio. Steer Toward Safety™.